In two successive beams that have the same section, the longitudinal rebar pairs placed both inside the upper and lower stirrup corners are collinear therefore, it is compulsory for the one to be bent so as to bypass the other. This bending must be vertically done in order to have adequate space for the proper concreting. When using large diameter rebars (greater than Ø 14), the bending cannot be manually done during the implementation therefore, it has to be done prior to placement by means of a double bending machine. An effective rule to follow in cases like this is: (a) the bars placed in beams with odd numbers 1,3,5,… to be straight and (b) the corner bars placed in beams with even numbers 2,4,6,… to be appropriately bent. 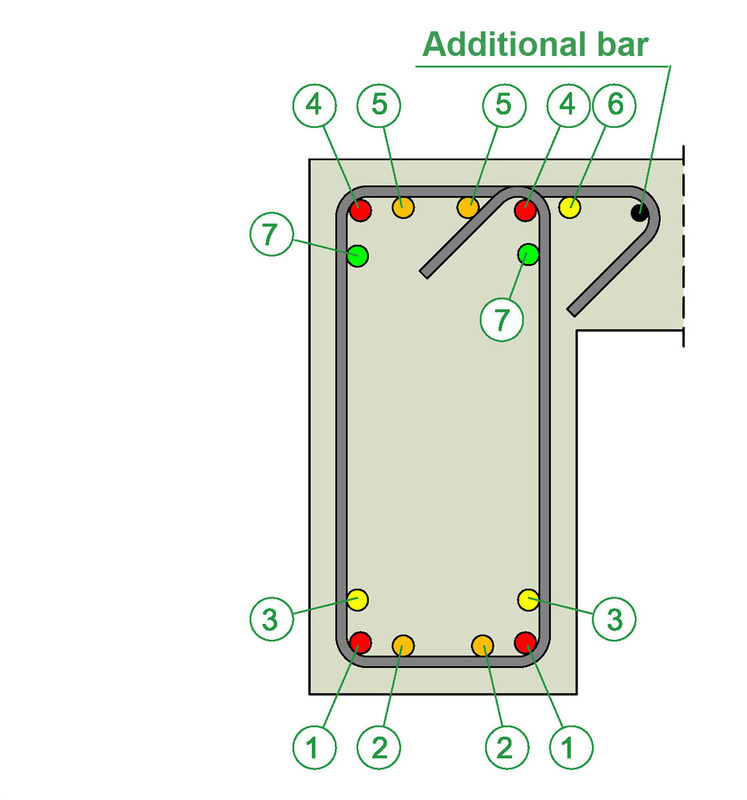 Case (1) shows, in priority order, the possible rebar positions in a rectangular 250/500 beam (with no slab on top). 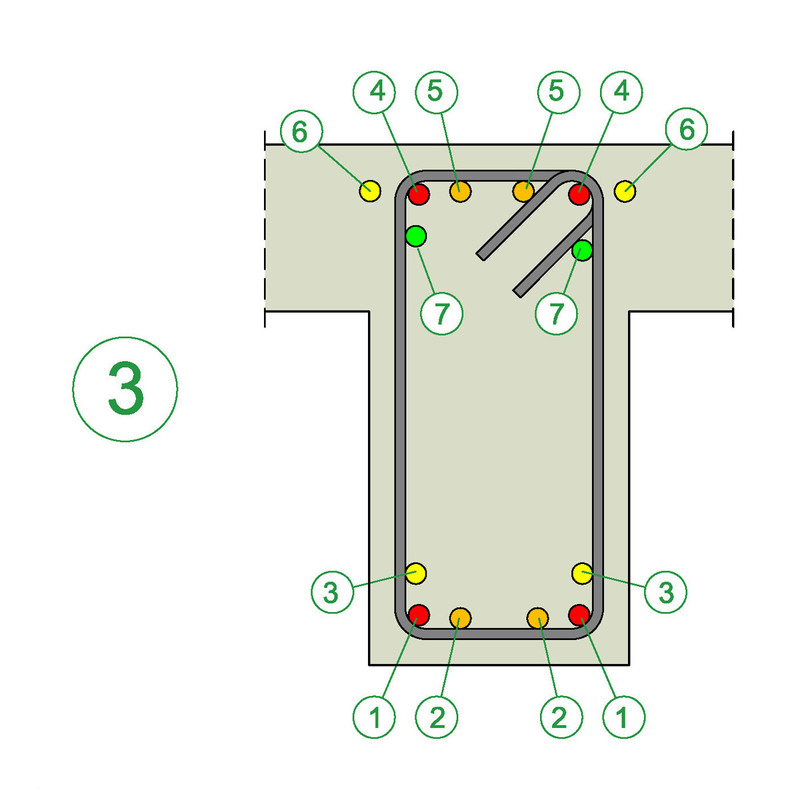 At the lower part of the beam, the first rebars to place are the corner bars 1, then the internal bars 2 followed by one bar 3 or if it is necessary by a second bar 3. At the upper part of the beam the same things apply as well. Case (2) shows a “Γ” section beam where at the upper part, the priority 6 is given to the rebar placed outside the perimeter of the stirrup. 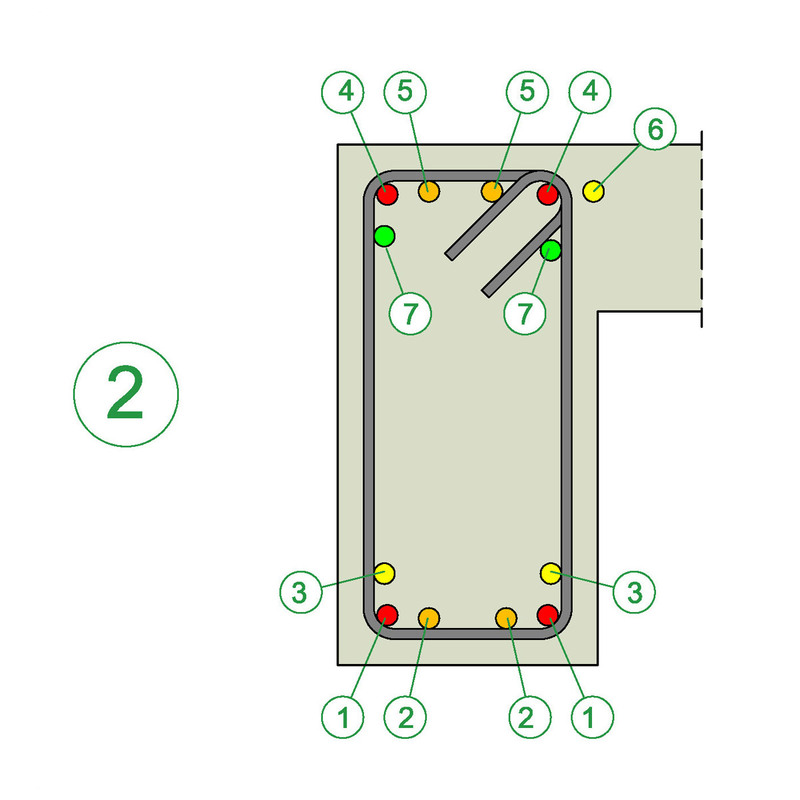 The bar 6 must be positioned at a distance around 20 mm away from the stirrup so as to avoid damage during additional operations by plumbers, electricians etc. This bar should be fitted upon the slab support rebars or upon the upper leg of the stirrup which might close outside the beam’s body. • Rebars in place 6 may be used only when they cross the adjacent column or when they are anchored inside it. • In many cases, the stirrup cage is constructed and fitted inside the beam half closed so as to facilitate the implementation of the longitudinal rebars. Moreover its upper leg has a larger length which allows, after the placement and the wiring of the longitudinal rebars, its trouble free closing with the use of the proper machinery. Case (3) shows a “T” section beam, where at the upper part the priority 6 is given to the rebars outside the perimeter of the stirrup. 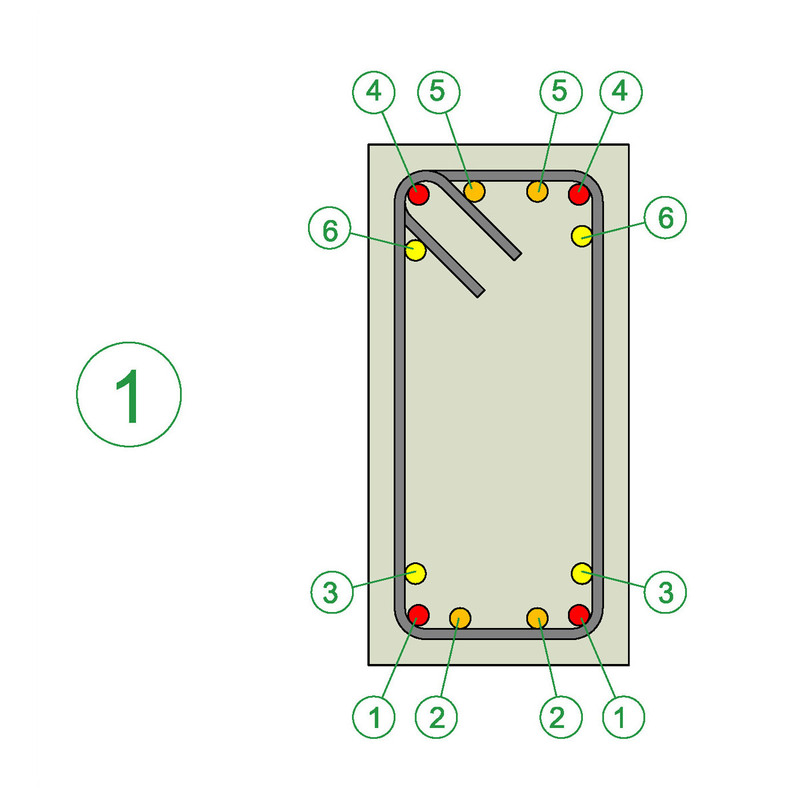 Case (4) shows in priority order, the possible rebar positions in a rectangular 350/500 beam with a four legged stirrup. 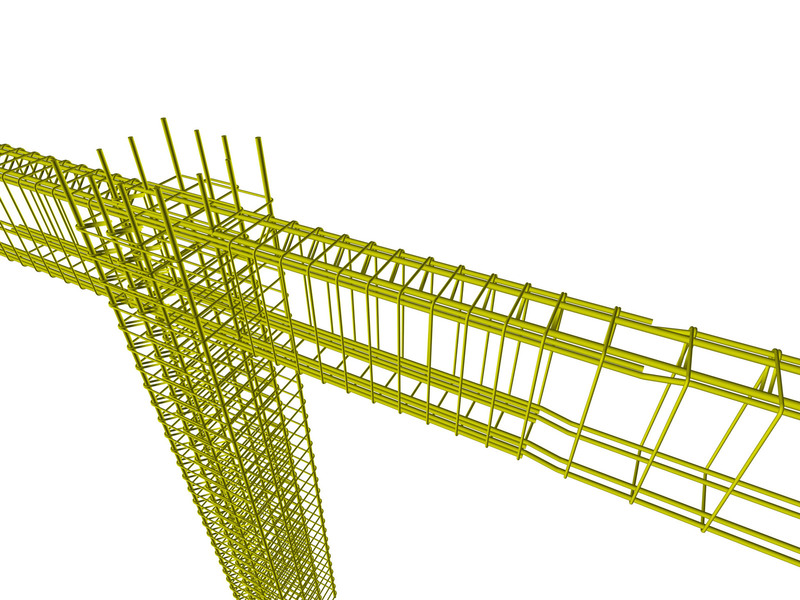 It is mandatory to place firstly the corner bars 1, then one rebar 2 and the second rebar 2 followed by the rebars 3. 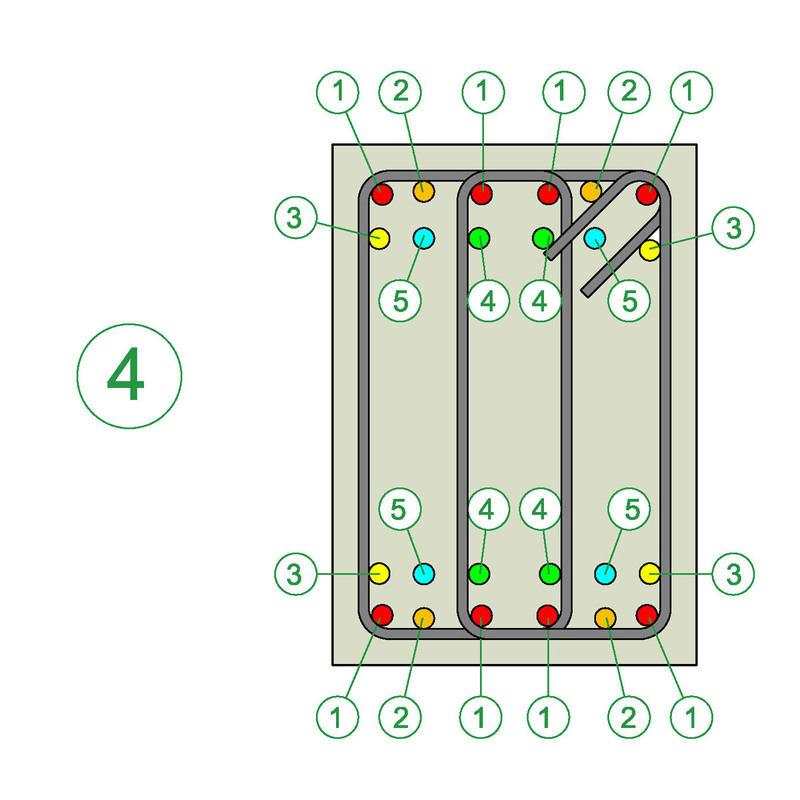 If the reinforcement requirements are so large that cannot be met by an increase in the rebar diameter, bars 4 and 5 of the second layer are placed one by one.